Whether you’re a mom, have a mom or just know a mom…enjoy this special weekend! Happy Mother’s Day! 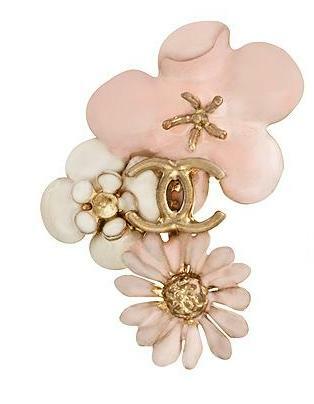 Love this pretty brooch! Wishing you a wonderful, restful Mother's Day Sue! Happy Mother's Day to you, Sue! You have some wonderful daughters so I'm sure it will be a beautiful day for you. What a lovely brooch….yes Happy Mothers Day to all of our blog friends!! This could be my fave Chanel item yet. I hope all of the moms out there have the best Mother's Day! So pretty! Hope your Mother's Day is just as lovely, Sue! May need to forward this post to the hubby and kids – but it may be too late for Mother's Day! Hope you have a wonderful weekend, Sue. I must say that I love the Random Chanel items….